It is one of the largest organs of the human body and has the characteristic that if we remove three quarters of it, we are alive and able to regenerate. It is responsible for multiple functions, participates in digestion, in the composition of blood, produces and stores energy and acts as a detoxifier. In traditional Chinese acupuncture it is believed that the liver is linked to anger. 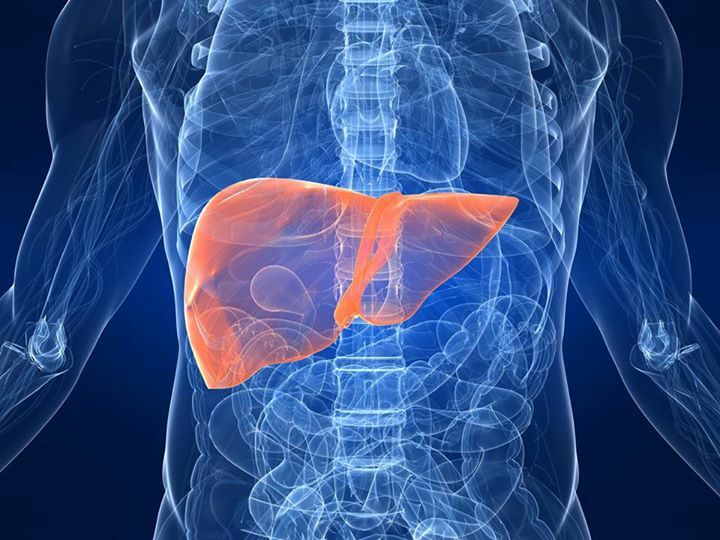 The liver, symbolically, is the "pantry" of the body. 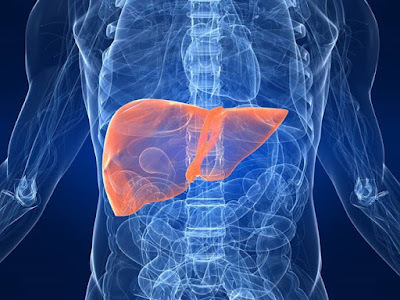 It is the main organ of conservation of all foods, so when we are hungry, the liver begins to function more than usual, to take advantage of everything that is available. The sick individual of the liver feels a deep fear of lacking the essentials, the necessary or what he considers indispensable for living (food, money (inheritance problems), family, affection, recognition, holidays, work, etc.). It is a conflict of loss, lack or hunger very ingrained. It can also refer to a lack of faith ("was" in French), love, recognition... what we consider essential for life. Problems related to food, with food, real or symbolic. "Deep fear not to have enough to eat (now or in the future)". "Fear of dying of hunger, (real or symbolic). For lack of food, money or because "nobody loves me". "Fear of not catching the vital bit". "Afraid that someone, whom I love, marries or lives or goes with a poor starving man". "Someone close to me dies of hunger". Disagreements, unresolved family conflicts due to issues of material goods, inheritance, etc. can also lead to a person suffering from liver cancer. Another possible conflict is having a conflictive family, in which I am the savior. "My family eats my liver". "They have me fed up". Toxic snack conflicts that make us swallow yes or yes. Real poisoning (chemotherapy is poisoning me) or symbolic (deceiving me, lying to me ...). "Someone wants to poison me (real or symbolic)". "This person next to me is killing me, intoxicating me". Therefore, I must create "a lot of liver" to withstand difficult and everyday situations. Liver metastases can occur from bowel cancer. When a cancer of the small intestine or the digestive tract is manifested it is known that they will not reach so many nutrients, due to the obstruction that occurs. Then the liver has to be prepared to take full advantage of the scarcity of food that is to come. The liver is also affected when we are going through a complicated and difficult situation, of which we do not see the way out. We are afraid because we feel the sensation of being in a dead end. Excesses can also trigger serious pathologies in the liver: excess of food, alcohol, drugs, excessive cravings for expansion, fantasies of grandeur, excessively ambitious ideals, etc. When there is some excess it is because we have difficulties to value, what is beneficial and what is harmful? The liver is closely related to the third chakra, which focuses on power and the recognition of one's own image and identity. The image we have of ourselves, or that which others give us back, depends fundamentally on the energy of the liver. If our image has been affected by some experience that we have lived and the outside world does not recognize us as we would wish, this apart from making us lose joy, causes us a great confusion and a lack of recognition, who really am I? The liver also has a very important task as is the management of our feelings. The tensions of the liver can also mean that it is very difficult for us to accept our feelings, our own affections or those offered to us by others. Sometimes we "revolve the liver" to the worries, aggressions or injustices we suffer and we react with an attitude of rebellion that prevents us from adapting to life. Cirrhosis: Cirrhosis appears after a conflict of lack. There is a hardening of the fabric that has been worn, to be more resistant before it continues to change and finally lose its function. Conflict of cooling, hardening, retraction in front of the life. Need to exit. Conflict of lack of renewal or adaptation. Lying too much to the things of the past. "My family does not offer me enough means to achieve happiness". "It is necessary to restructure the family home". Fatty liver: Infiltration of fats (lipids) in liver cells. The grease serves to protect. Afraid to drown in alcohol, "I must keep afloat". Hepatic infarction: Obstruction of the hepatic artery that carries the blood to the liver. Conflict of loss of distal (distant) territory in a tone of loss or lack. Liver cancer: Conflict of absence or lack: Conflicts of hunger, money and family (inheritance). Archaic biological fear of death by starvation, by not receiving food (food is the snack). Conflict of not being able to feed or feed those of whom we feel responsible. The presence of a solitary nodule carcinoma in the liver indicates a conflict of starvation by another person or animal, while multiple "round spots" express a conflict for oneself.